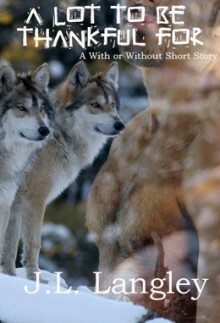 FREE hereSweet little short, can't wait for Without Fear! Just a little pre-Thanksgiving short focusing on Rhys and SterlingHow old is Sterling in this? Very good short paranormal m/m romance about Rhys arriving home from work the evening before Thanksgiving to discover Sterling waiting. AwwwwwwwwwwwI'm so in love with Sterling! I just ADORE him!